Whether your company’s transportation needs include ground, rail, air, or sea, Floresville is conveniently located near numerous highway systems, transportation hubs, and international ports. Our immediate area offers abundant road capacity with minimal traffic congestion. Energy costs are much lower than the national average and water resources are abundant. Businesses in Floresville are served by US Highway 181 and State Highway 97, as well as numerous farm-to-market roads. Connections to four different interstate highways, including major east-west and north-south routes, can be made in less than 30 minutes. Stretching from coast to coast (Santa Monica, California to Jacksonville, Florida), I-10 provides access to Houston, New Orleans, El Paso, Phoenix, and Los Angeles. 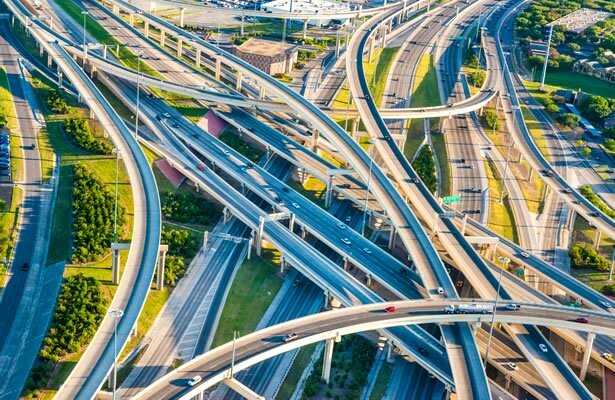 From Mexico to Canada (the international port cities of Laredo, Texas to Duluth, Minnesota), I-35 connects to the cities of Austin, Dallas/Fort Worth, Oklahoma City, Kansas City, Des Moines, and Minneapolis/Saint Paul. Connecting San Antonio and Corpus Christi, I-37 provides access to the nearest large seaport. I-410 (more commonly called Loop 410) circumnavigates San Antonio and provides convenient connections between the three aforementioned interstate highways. 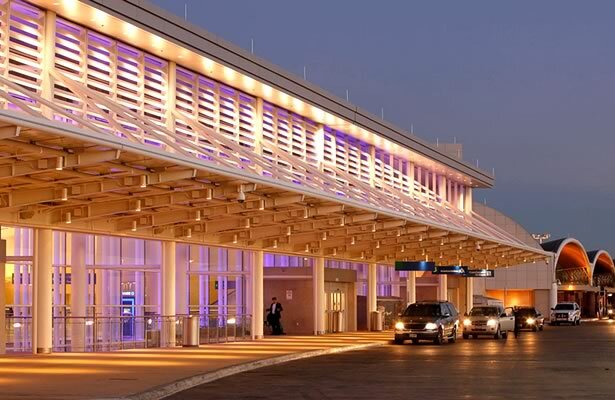 Located 38 miles north-west of Floresville, San Antonio International offers non-stop flights to 43 destinations and serves 8.5 million passengers annually. Maximum runway length is 8,505 feet. U.S. Customs and Border Protection port of entry. Port San Antonio offers both air and rail services, providing specialized facilities, international logistics, and general aviation services. Located 35 miles north-west of Floresville, Port San Antonio’s Kelly Field features a maximum runway length of 11,500 feet. A U.S. Customs facility allows aircraft from abroad to clear customers on site. Located 24 miles north-west of Floresville, Stinson Municipal Airport is the second oldest general aviation airport in continuous operation in the United States. Primarily serving light aircraft, individuals, and private aviation companies, with a maximum runway length of 5,000 feet. Mission Rail Park, 15 miles north-west, is a 1003-acre rail terminal ideal for heavy industrial loading and transportation of commodities, crude oil, and frac sand. Located 23 miles from Floresville, Southton Rail Yard is a 300-acre dual rail-serve facility specifically designed for transloading energy-related products. Features 160 direct rail-to-truck car locations. San Antonio Intermodal Terminal is 35 miles from Floresville. Covering more than 300 acres, this facility is designed to handle 250,000 annual container lifts. Located 117 miles to the south, the Port of Corpus Christi is the fourth-largest port in the U.S. by total tonnage. Oil and gas products are the most heavily transported commodities. The City of Floresville owns and operates three water wells producing a total of 5.5 million gallons per day from the Carrizo-Wilcox Aquifer. The wastewater treatment plant is permitted to discharge 0.91 million gallons per day. Upgrades of the water distribution and wastewater systems, as well as installation of smart meters began in 2017. Municipally owned Floresville Electric Light and Power Service (FELPS) provides electrical power to the Floresville and surrounding areas. The state of Texas operates on a self-contained power grid, protecting businesses and residents from outages in other parts of the country. Reserve electrical power capacity in Texas ranges between 18 and 20 percent. CenterPoint Energy provides natural gas services to residents and businesses in the City of Floresville. High speed internet access is offered by multiple service providers, including Spectrum, Frontier Communications, GVEC, LVWifi, ZipLink, Rise Broadband, and Ranch Wireless. FEDC develops infrastructure and real estate to promote economic expansion.